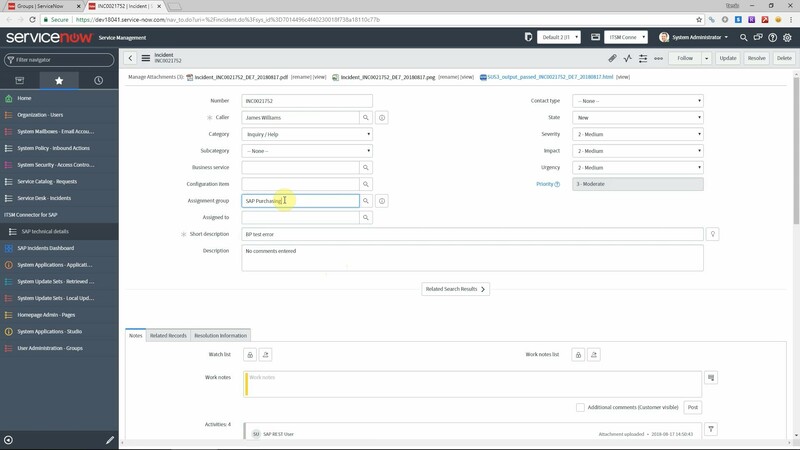 There are a few approaches to automatically set the correct assignment group for incoming incidents. Some companies set up different email accounts for different incident types, but that is not granular enough and it is difficult to maintain. Others set up dropdown menus on self service portal pages for users but they might not always know which one to choose. All common approaches involve manual activities that slow down the process. When it comes to SAP related incidents, usually the service desk has teams per module, like Material Management, Finance, Sales and Distributopn and so on. 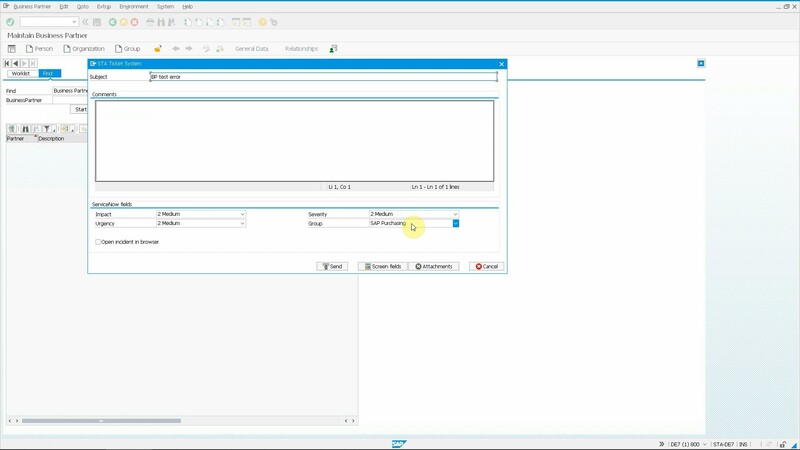 Our SAP add-on can automatically set the support group of an incident based on the properties of the currently running program. 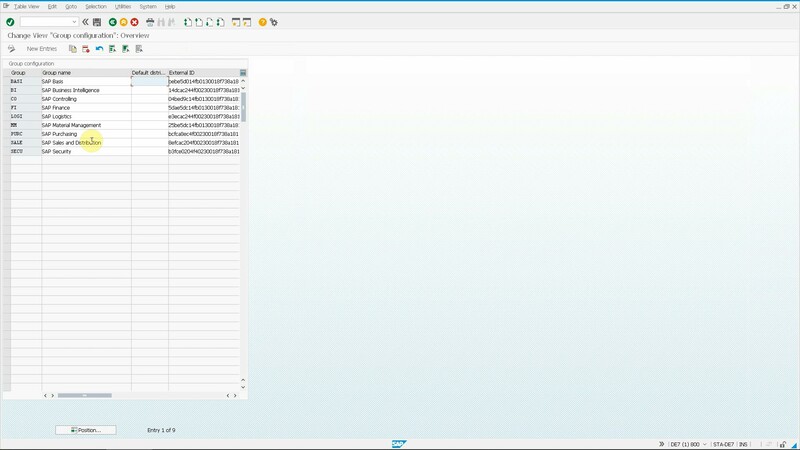 The first step is to maintain the support groups of your ITSM platform in SAP. Once it is done, you can set up the auto-assignment rules. 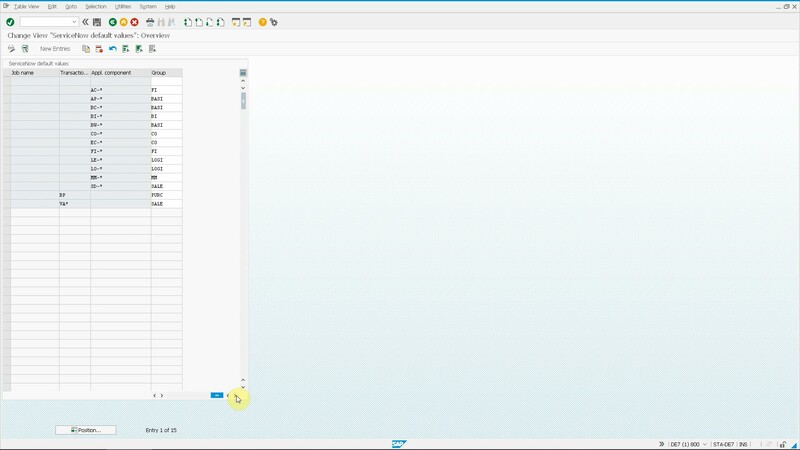 There is no complicated AI or business logic behind this, only a simple configuration table where you can assign your groups to either SAP transactions, application components or background jobs. This is transparent, easy to maintain and works fine. You can also use wildcard characters (*) for convenience, so for example MM-* as an application component value will be valid for all Material Management transactions (screens, reports etc.). If any rules are found in the customizing table, the support group is set according to the configuration. In cases when the process is triggered in a batch job (in a monitoring use case for example) then the program first checks for a matching group assingnment based on the background job name. You may notice on the screenshots that the support group is not the only field that you can define for SAP transactions and modules. It is possible to set any other field like severity, impact, priority or even your custom fields exactly the same way. 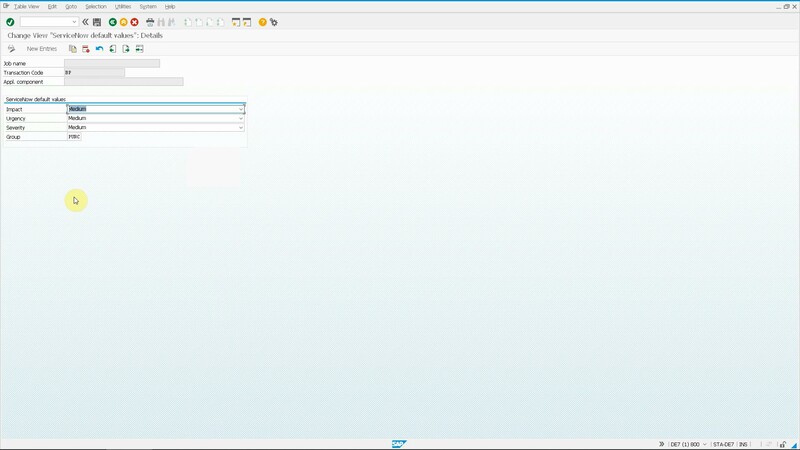 You can also control if the support group field shall be visible for the user on the main screen or not. Some organizations prefer to display it so end users can manually override the defaults, some prefer to hide it because of the additional complexity it may cause for some users. The benefits of using this feature are easy to see and understand. Your tickets will be routed to the best matching support group immediately, without any effort from the end users or the service desk. This results in a more efficient service desk and reduced ticket resolution times.